Update : Version 2.6-5 released ! Crack is out !! 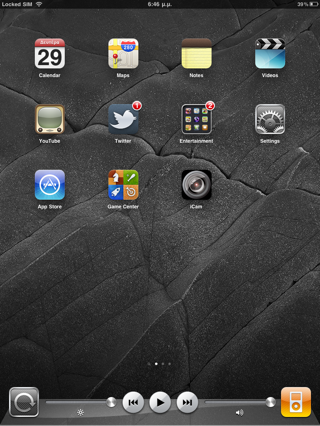 Scrolling Dock & Folders! All-in-one! 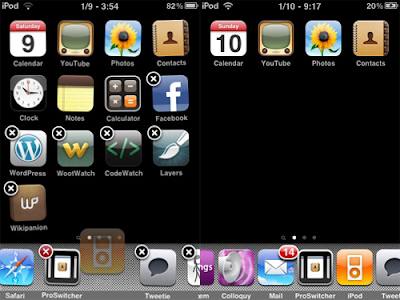 ScrollingBoard is the new tweak for iPod, iPhone and iPad, You Have That lets scrolling, unlimited icons and folders in your dock, addons in your dock like iPodControls and Volume / Brightness Slider, ScrollView effects, and more. 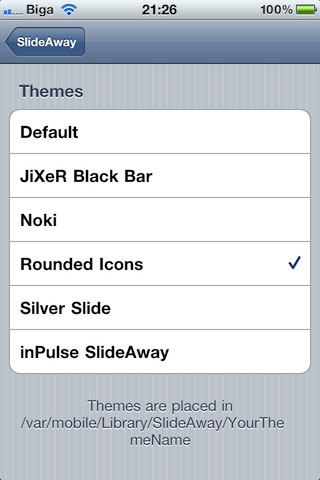 It Replaces That Other Known addons do Almost the Same thing, as it Supports native arrangment icon (the ScrollView scrolls to next / previous page When dragging an icon to the edge), iPodControls right on your dock and the Ability to add and Stock addon / widget to your dock! 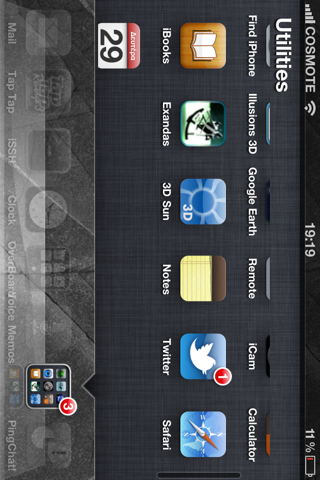 Almost add anything to your Dock and make it more Useful than ever! With ScrollingBoard's DockAddons Methods, You Can you add to dock, from SBSettings toggles snippets to whole web pages, weather widgets etc. New addons will come by me and Other developers! ScrollingBoard! Escape from the Limitations! Compatible with iPad's Different Orientations and SBRotator4. Update : Version 1.8.2-1 released ! Crack is out !! 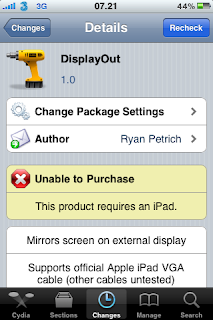 Now supports iOS 5.0 and iPad! Full dock customization: scrolling, adjustable icon amounts, and more! 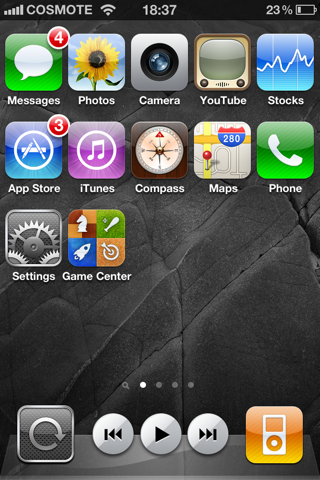 Add as many icons as you want, and the dock will grow to accommodate them, and set how many you want on every page. 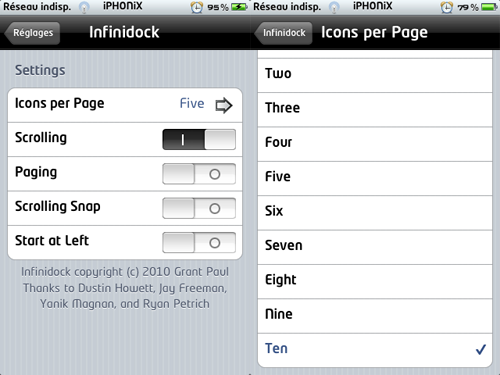 The ultimate dock customization tool, by one of the developers of ProSwitcher. 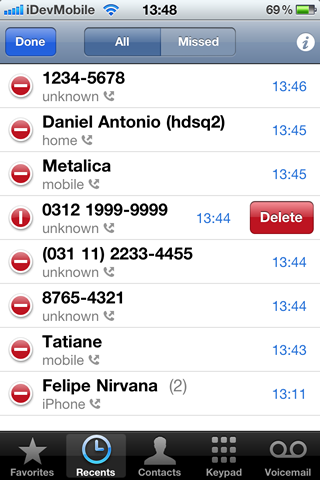 Please report all bugs and submit all feature requests via email so we can take a look! Update : Version 520-1 released ! Update : Version 1.12 released ! 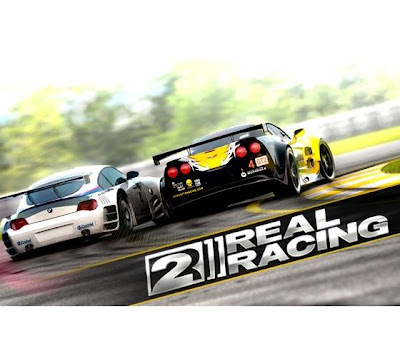 ◆ Get to know meticulously detailed cars including the 2010 Ford Shelby Mustang GT500, 2010 Nissan GT-R (R35) and 2011 McLaren MP4-12C. See the full list at http://firemint.com/r2. Update : Version 1.2-2 released ! Crack is out !! 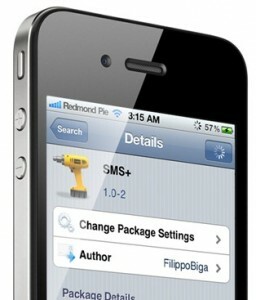 SMS+ is the best solution to improve your SMS experience on iOS. 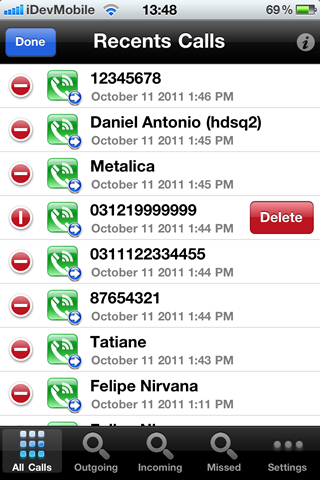 It integrates perfectly in the native SMS application, adding to it those functionalities you won't ever be able to stay without after having tried them. 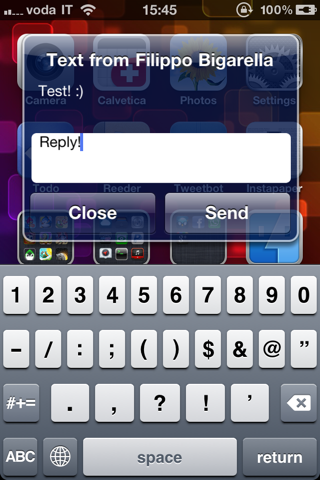 SMS+ allows you to quickly reply to an incoming sms without leaving the app you're using, or even bring up (via an Activator gesture) a new window where you can compose a new message, choosing the address from your contacts. 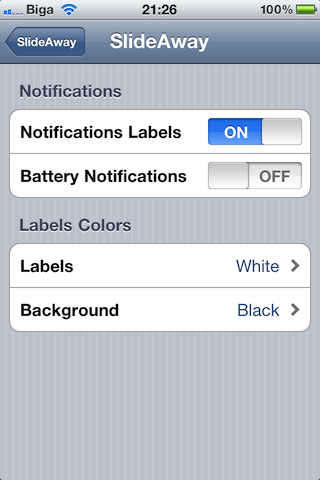 It also includes a "Later" feature, which you can use to keep a message unread to read it later (an icon in the Status Bar will remember you that it's there). You can also choose to make your iPhone "speak" an incoming message, maybe when you're driving or you can't look at your iPhone's screen. 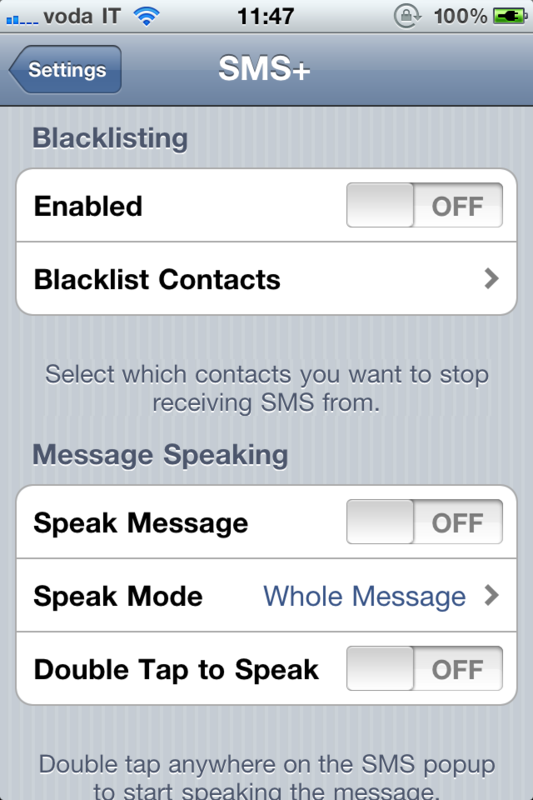 There are also some other extra options right inside the SMS app, like mark all messages as read, delete all messages, timestamp every message, show/hide conversations and a "Pull to sort" feature, to toggle the conversations sorting between dates and senders. Pandora Radio is your own FREE personalized radio now available to stream music on your iPhone. Just start with the name of one of your favorite artists, songs or classical composers and Pandora will create a "station" that plays their music and more music like it. 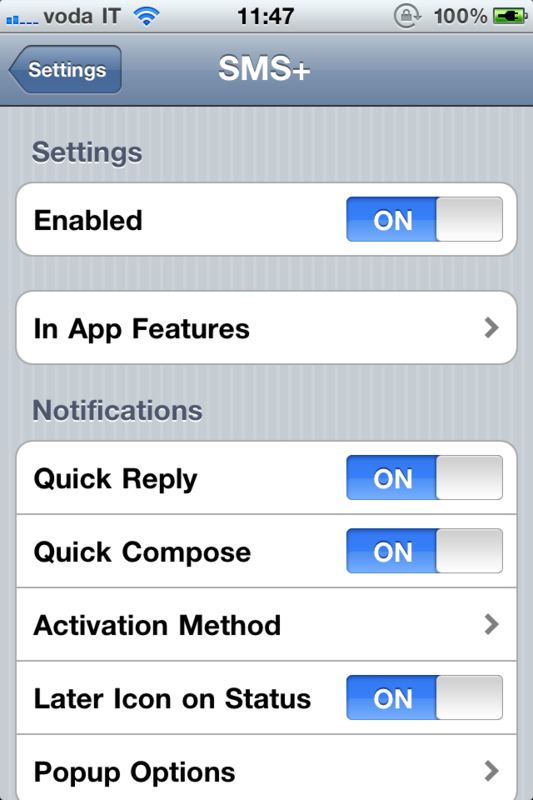 Folks who rely on carrier unlocks using Ultrasn0w will be happy to know that its developers have just released an updated version of it which supports the final release of iOS 5. The news comes straight from MuscleNerd – a famous hacker, jailbreak developer who is a part of the iPhone Dev-Team – in a tweet where he announces the updated version of Ultrasn0w. For the uninitiated, Ultrasn0w is a program created by the iPhone Dev-Team which lets users unlock their iPhone so that they can use it on carriers other than the official ones. 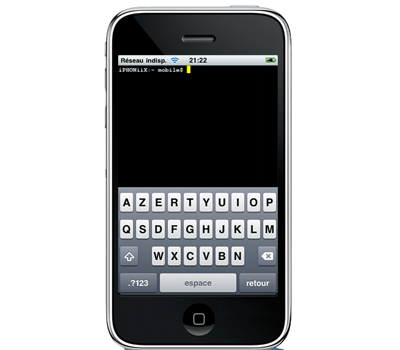 Once users have jailbroken their iPhone, they add a new repo to Cydia and then install Ultrasn0w to unlock their iPhone on iOS 5. Gevey SIM on the other hand is a hardware-based unlock, which allows users to unlock their iPhone 4 on earlier basebands, including 04.10.01. 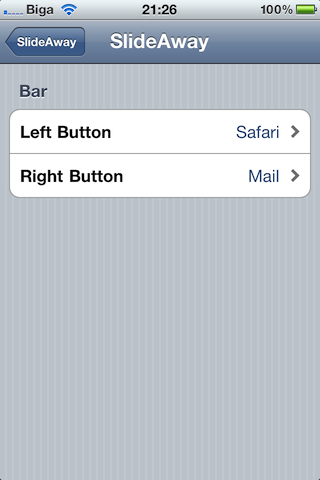 But keep in mind that the newest basebands in iOS 5 are not supported by Gevey SIM at this point. 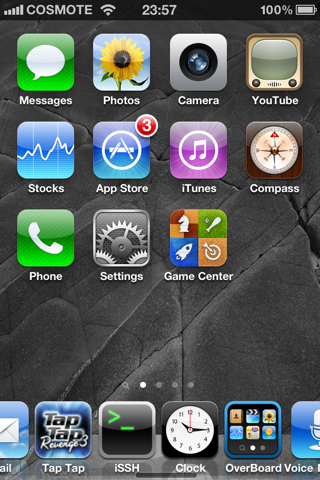 The updated version of Ultrasn0w released today brings support for iOS 5 final. 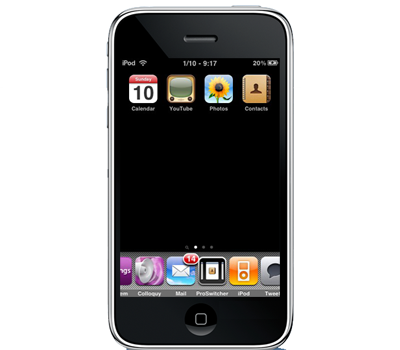 Sadly, newer basebands aren’t supported, so you can only unlock via Ultrasn0w if you’ve got a compatible baseband: 01.59.00 for iPhone 4 and 04.26.08 / 05.11.07 / 05.12.01 / 05.13.04 / 06.15.00 for iPhone 3GS. 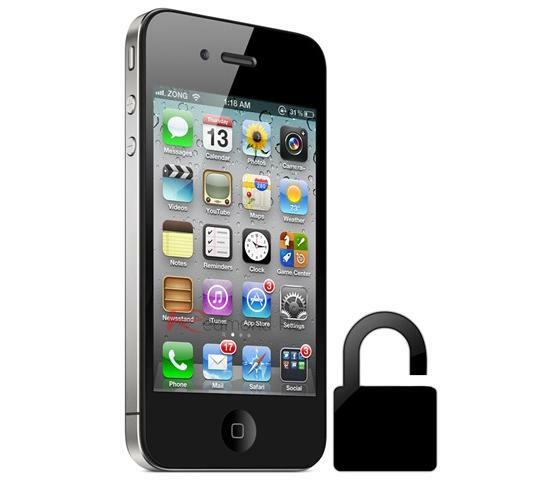 Before unlocking, you will need to jailbreak your iPhone on iOS 5. 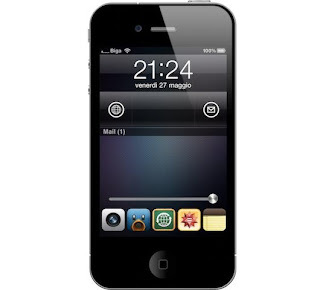 Jailbreaking enthusiasts will know that Redsn0w from iPhone Dev-Team has been successful in jailbreaking all betas of iOS 5 and even the GM release. These jailbreaks, however, did not preserved the older basebands. 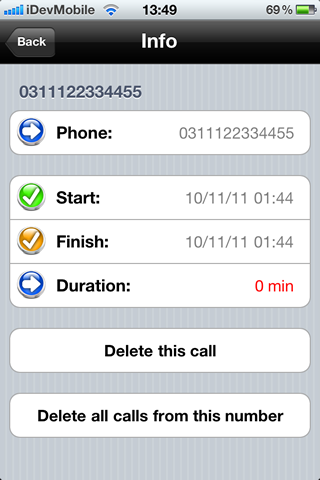 However, a new version of Redsn0w that was released yesterday preserves the old baseband on iPhones (like PwnageTool and Sn0wbreeze) which enables users to unlock using Ultrasn0w or Gevey SIM (tested, confirmed to be working on iOS 5 with older iOS 4.x baseband). Unfortunately, this is still a tethered jailbreak which means you have to connect your iOS device with your PC every time you wish to reboot and boot back into the jailbroken state. According to prominent hacker i0nic, untethered jailbreak is already “covered” which, we believe, implies that we may see an untethered jailbreak for iOS 5 sooner than what was previously expected. 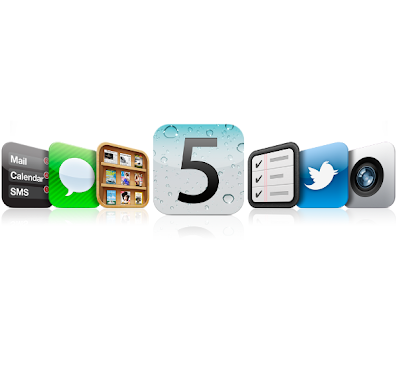 If you’ve got an iPhone 3GS or 4 with supported baseband (you can check from Settings > General > About > Modem Firmware) on any version of iOS 4.x, then you can update to iOS 5 final, jailbreak it using Redsn0w or Sn0wbreeze while preserving your baseband and then install Ultrasn0w or Gevey SIM to unlock your device. 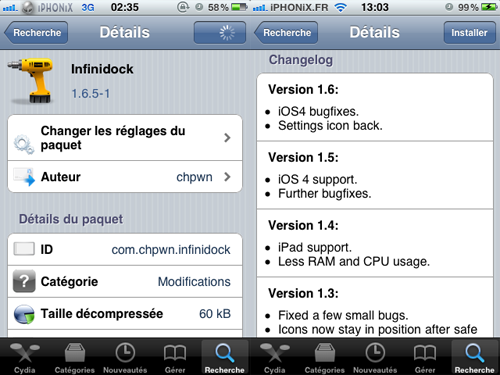 Step 1: Jailbreak your iPhone using the latest version of Redsn0w or Sn0wbreeze on iOS 5. Keep in mind that both jailbreaking tools support the preservation of the old baseband. 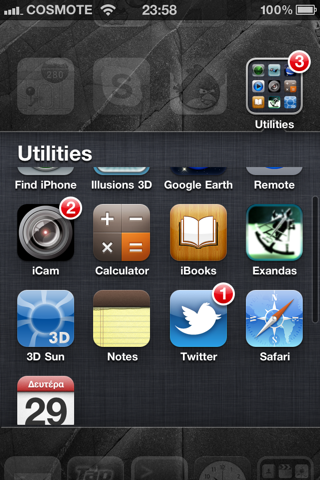 Step 2: Once you’re done jailbreaking iOS 5 on your iPhone 3GS/4, fire up Cydia. 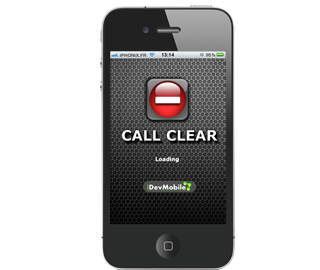 Simply jailbreak using the methods given in Step 1 and follow the regular procedure for unlocking, which includes dialing the emergency ‘112’ number from your iPhone 4 and turning Airplane mode on or off till you get a cellular signal. 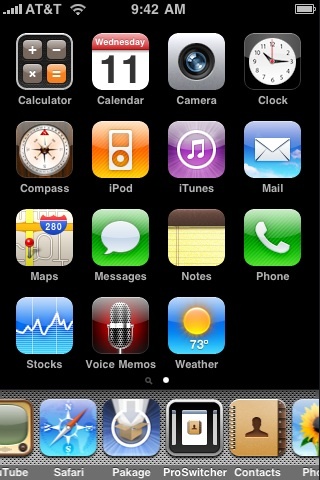 It’s finally here folks, today is the when Apple has flipped the switch on iOS 5, and millions upon millions of iPhones, iPads and iPod touches are in the process of being updated to the latest and greatest mobile operating system to come out of Cupertino. This fifth iteration in the iOS saga is perhaps the biggest change that Apple has made to the software that runs on all our iDevices, since the implementation of the App Store. 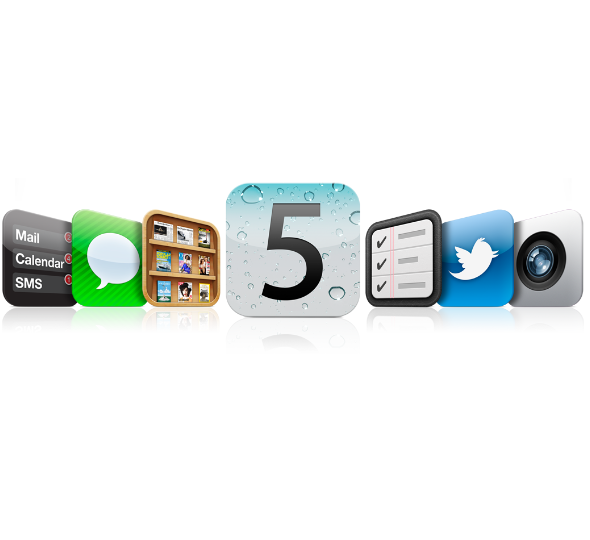 We’ve been playing with iOS 5 for quite some time now, and we’re sure you’re going to like what you see when you have finally installed iOS 5. In order to give you an idea of what to expect, what has changed and what to look out for when your iDevice restarts post-update, we’ve put together a video showing just what Apple has added to iOS this time around, and there’s quite a bit. The vide covers everything we could think of: there’s iMessage, the new messaging service that Apple believes is on a par with the likes of BlackBerry Messenger, offering instant messaging for free across all iOS devices running iOS 5. Then there is the vastly improved Notifications Center, improvements to Camera app, the all new Reminders and Newsstand apps, Twitter integration, and lots more. 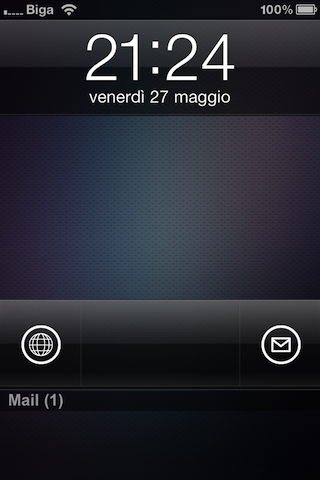 Mail client has also got a significant update! It now supports rich text for adding bold, italic or indentations to your emails. 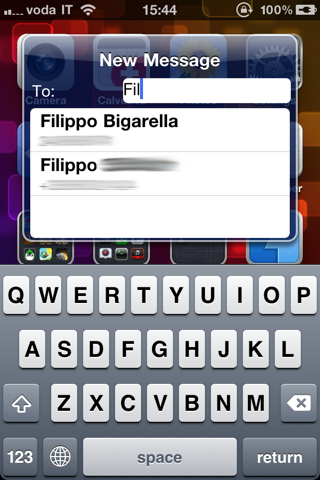 Flagging messages is also now part of Mail in iOS 5 too, something that many Exchange users have been crying out for recently. The list of changes goes on and on. Possibly the most trivial, yet something that we still can’t quite believe has taken Apple five versions of iOS to get working, is the landscape calendar. Yes, it’s finally there, and, well, it’s your calendar, but sideways. No surprised there, then. We could go on forever talking about the new additions to iOS 5, but the best way to get the lowdown is to watch the video. And here is the link to download iTunes 10.5 for Windows and Mac. 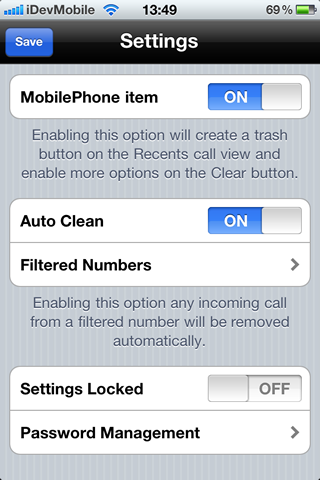 * AUTO CLEAN (you can automatically delete any history from previously added numbers) *Only firmware 4.x or newer. 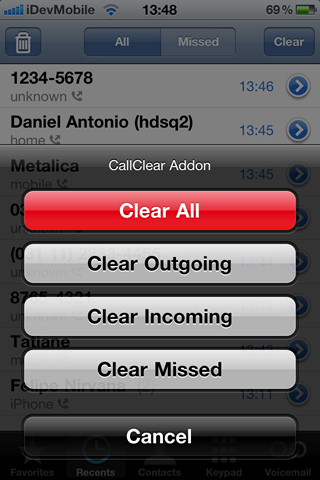 CallClear is an application which will permit you to delete your calls one by one in your history instead of deleting them all. 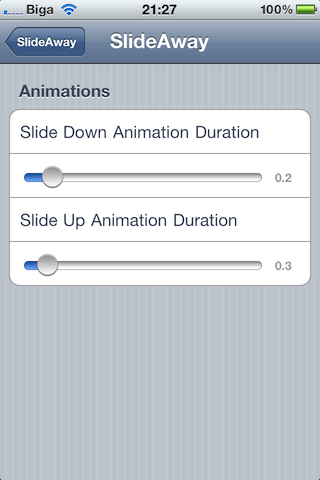 SlideAway brings substance to your iPhone's lockscreen, allowing you to access the apps you use the most without having to unlock the device. You can customize the two shortcuts on the left and on the right side of the bar and you can bring up the Slide Up Dock by actually sliding up the bar. 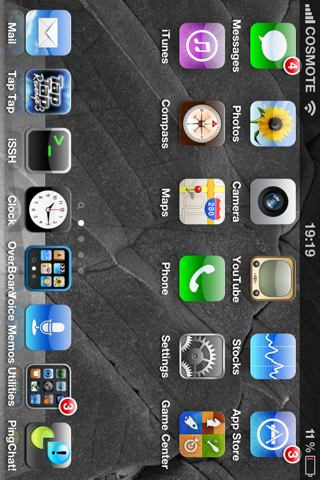 You can also adjust the brightness from the slider above the dock. 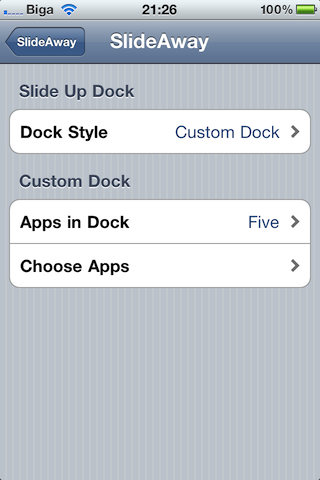 You can choose between two dock styles: "Real Dock" will actually put a copy of your dock; "Custom Dock" will allow you to choose up to 5 different apps to put them in the dock. 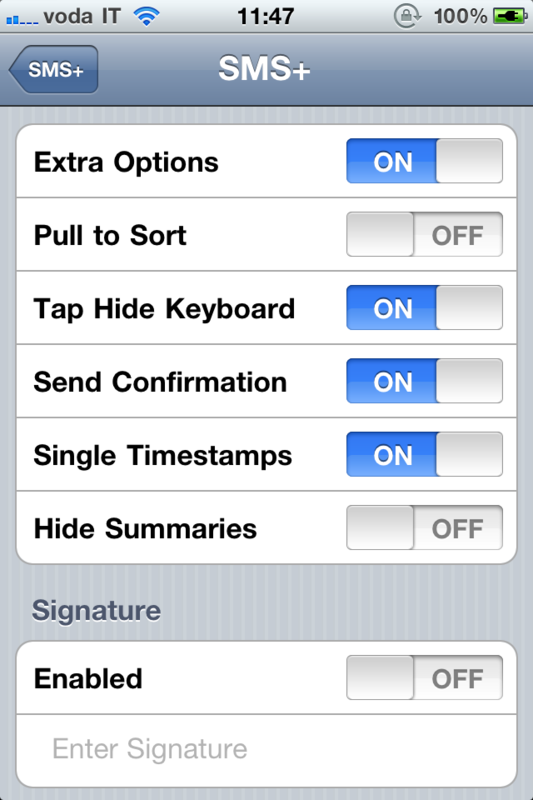 SlideAway also keep track of your unread mails, sms, missed calls or push notifications, displaying a count of unread item under the bar. The style of those notifications is fully customizable. 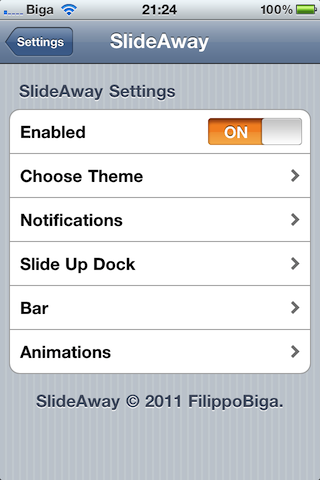 But the best thing about SlideAway, is that it's fully theme-able and every designer can make a theme for it, to make SlideAway fit perfectly with your own theme! Update : Version 1.6.2 released ! Crack is out !! Mirrors screen on external display via apples vga and composite cables.